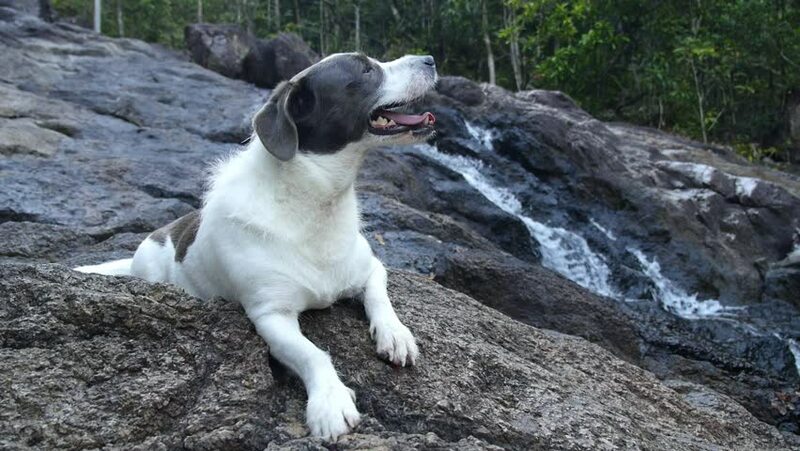 Dog Resting At Waterfall In Forest, Slow Motion. HD, 1920x1080. hd00:34BOSTON - SPRING 2015 - Details and close up of the monument to the 54th Massachusetts and Col. Robert Gould Shaw in Boston. Civil War memorial and monument, "Glory" movie. African-American history. 4k00:23Ungraded: Gorilla at the zoo is chewing on the stalks of a plant and looking around. hd00:14A curious baby fur seal pup plays in the Ohau Stream waterfall.